An ambitious Calderdale textile firm is preparing to capitalise on the booming Chinese rail market. John Holdsworth & Co Ltd has established itself wordwide as the foremost supplier of Jacquard fabrics to the bus and rail industry. And with China preparing for the Olympic Games in Beijing in 2008 and massively expanding its public transport service, the Halifax company believes it is well placed to cash in on the growing demand for high quality seat covers. "We were in at the start of the rail boom in this country and ever since we have helped to supply European and US rail operators with safe, stylish and hard wearing carriage fabrics," said company spokesman Graham Hadley. The enormous expansion of China's railways is a huge challenge and an opportunity for us to develop markets further afield." Holdsworths was established in 1822 and has operated from Shaw Lodge Mills, in Halifax, ever since. It also has long-term plans to redevelop the entire rampling complex into apartments, offices, shops and factory space - an "urban village" on the banks of the Hebble Brook. But in the meantime it is business as usual which means safeguarding the existing 180 jobs and continuing to search for opportunities to expand. 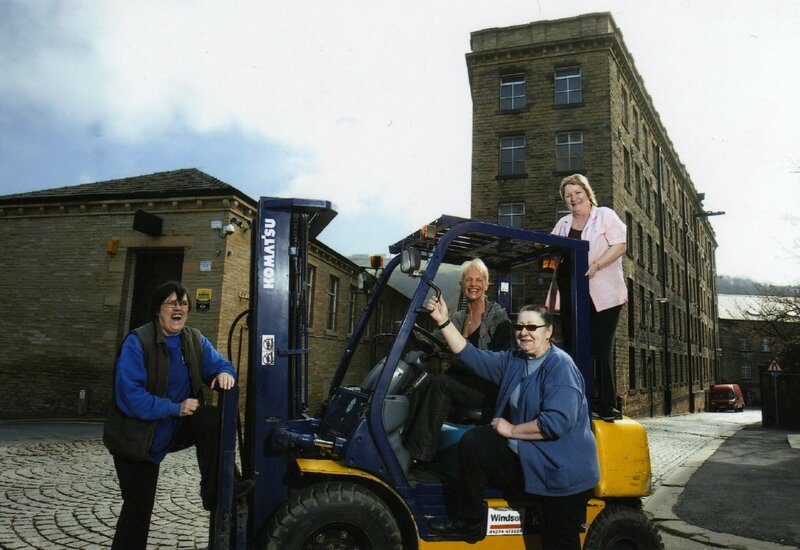 Even in the redevelopment scheme proceeds as planned, Holdsworth's intends to keep its headquarters and manufacturing in Calderdale. Since the plans were revealed last summer, nearly all the equipment in the mills and the staff have been concentrated in one a single-storey building, making the process more efficient. The floors and rooms that have been freed up are being converted to provide medium-term commercial storage space for other firms in the area. 'Our ten-year programme for Developing Shaw Lodge Mills is proceeding steadily while our manufacturing opportunities are entering an exciting phase," said Mr Hadley. "We have interest in our product from all corners of the globe and now the possibility of a foothold in China. "What we produce here in Halifax might be one of the least expensive items on any locomotive but its impact on the passengers is huge." With acknowledgement for narrative contributions from Michael Peel at The Halifax Evening Courier, 11 April 2007.